Vietnam is developing quickly, leaving its low-income past behind and becoming a middle-income country. This rapid economic growth is accompanied by increasing pressure on the environment. While there is good environmental legislation, it is not always well enforced. The air quality in the capital, Hanoi, is one of the worst in the world and beautiful Ha Long Bay (a UNESCO World Heritage Site) is facing heavy environmental pressure brought on by the increasing number of tourists. These are big challenges. There are also opportunities for a circular economy. CREM has mapped these out and explored the chances that they offer for Dutch businesses, on behalf of the Netherlands Enterprise Agency (RVO) and the Dutch embassy. We have been working with Partners for Innovation and local consultants to carry out the study. The study covered areas such as sustainable energy, water management, agriculture and the concept of smart cities. 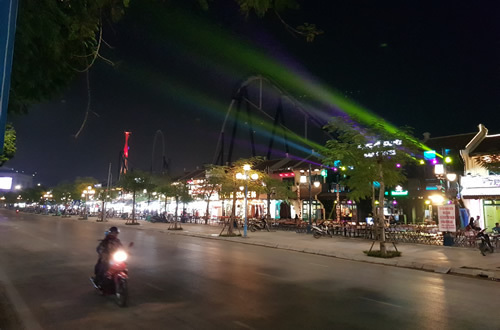 A recent scoping mission to Vietnam showed that there was a lot of interest in circular strategies in these sectors, but that there is also still a lot of uncertainty over what a circular economy means in practice. In any case, it is best to build on existing environmental policy and initiatives such as the national Green Growth strategy and ‘Reduce – Reuse – Recycle’ programs. A challenge for these initiatives is that the collection and recycling of household waste is now largely in the hands of the informal sector. The project has also included a meeting with Dutch companies in which the chances for and challenges of doing business in Vietnam have been explored. The results, which can be downloaded here, have been presented in Vietnam in the first part of 2018.